Kahani mein twist! As we all know big brother is good at playing games with its contestants in the house and know exactly how to spice things up. Tonight Big Brother made an announcement, that in the diary room there’s a box containing 100 thousand pounds and box full of pounds was shown to the housemates on the TV in the house. After few minutes Big Brother made another announcement and asked Carol, Jonathan and Seany to come to the diary room. All three of them were told that they are up for eviction which was very shocking for them. Big brother also revealed that £100,00 is the prize money which will be given to the person who they (three of them) thinks is suitable. All three of them were given a min to decide and were told that they can’t choose a random name, all this was happening in the diary room. After the minute it was decided that Liam is the right person for the prize money. When it was revealed to the other house-mates that the prize money is given to Liam on the recommendation of 3 housemates, everybody went through a mixed emotion of shock and happiness and Liam was overjoyed with tears in his eyes. For a second I thought whatttt!!! If the prize money is already given to Liam than what other housemates will do in the house and that why should be they living in there. 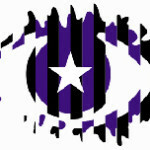 Suspense…..only the outside world knows that this time Big brother is spending £200,000 on there contestants. 100 thousand is already given to Liam and other 100 thousand will be given to the contestant who will win the Big Brother. But inside the house people are already planning to walk out thinking that what’s the point of living in the house if there’s no prize money. Now let’s see what happens next? Let’s see who walks out or how many tensions today’s episode gives to rest of the housemates.